I like driving in my car, and perhaps you do too. But what do you do with your Android device? Some people might leave it in the map pocket inside the driver’s door, while others might just leave it in another easily accessible place. More and more drivers are starting to mount their Android device on their dashboard or windscreen. This might be for convenience in making and receiving calls (hands-free, of course, otherwise you’re breaking laws in most countries) or even as a means of playing music through your car stereo. 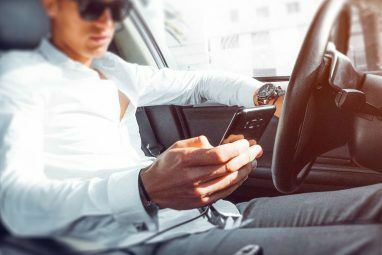 An increasingly popular use for an Android smartphone is as a digital dashboard The 5 Best Dashboard Car Mode Apps For Android Compared The 5 Best Dashboard Car Mode Apps For Android Compared Want a safe way to use your Android smartphone while driving? These car mode apps make it easy. 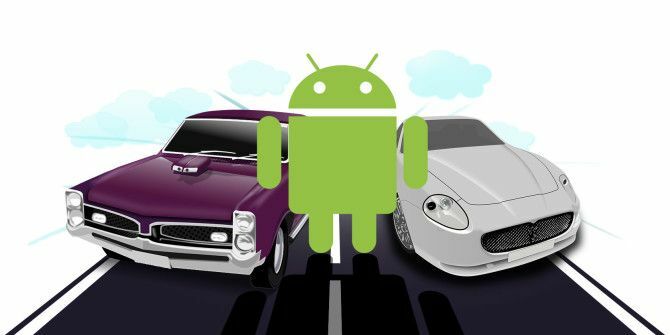 Read More , or even for diagnosing faults and monitoring performance How To Monitor Your Car's Performance With Android How To Monitor Your Car's Performance With Android Monitoring tons of information about your car is incredibly easy and cheap with your Android device -- learn about it here! Read More . But what of safety? Are these apps and tools safe to use while driving, and if not, are there any methods of keeping your phone as an integral part of your journey without touching it? Perhaps the most obvious method of control that doesn’t involve tapping away at your Android device display is voice control, something that is included with the most recent versions of Google operating system in the shape of Google Now. While useful most of the time, Google Now might not suit you in the car if you’re driving solo. Occasionally there is need to interact with your fingers, which completely defeats the object and can get you arrested and fined on the spot. An alternative to Google Now as an Android voice control tool in your car is utter! [No Longer Available], a free voice command tool that is currently in beta but which has a superior set of tools. It achieves its lofty aims by not bothering with the virtual assistant nonsense of Google Now/Siri/Cortana and instead focuses on getting things done. Better still, utter! has offline voice recognition and a choice of three methods to get its attention, including a wave. Waving is another safe method of interacting with your car-mounted Android device while the engine is running, and is something that you can do without taking your eye off the road. As long as you know where the phone is, simply raising your hand in its direction should be enough to prompt an action. We’ve seen that utter! 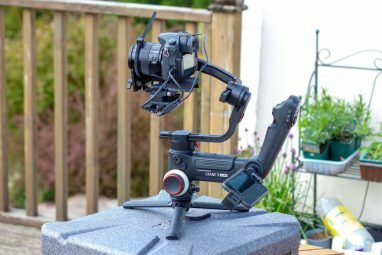 can be activated with a wave, but another tool that is worth considering is Air Gesture Control [No Longer Available], which can be used to interact with various apps that you might have running, from media players to those requiring data connection and GPS. Use of the app is simple: place your hand in front of your Android device, close enough for the proximity sensor to detect your presence, and this will enable or disable the chosen feature. Air Gesture Control offers three methods of interaction: hovering, waving once and waving twice. If you’re using your Android smartphone or tablet as a media player or need GPS support for your maps, Air Gesture Control is a good choice and runs in the background alongside other car-focused apps. Gesture control for Android isn’t limited to the car, and there are several gesture-based app launchers available 4 Gesture-Based Launchers For Android Compared 4 Gesture-Based Launchers For Android Compared If you've ever wanted a quicker way to access your most frequently used apps, read on. Read More that you might be interested in. Prolonged use of your Android smartphone as a driving companion will probably lead to the battery draining quicker than usual thanks to needing the display switched on permanently or the requirement for GPS and mobile Internet for satnav functions. 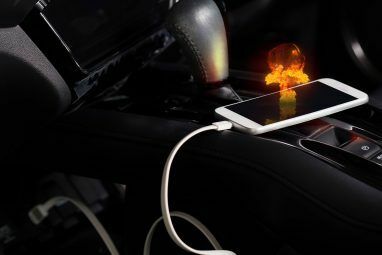 This means that you’ll probably use the car charger connection regularly, and with Autosleeper Auto power ON-OFF you can ensure that your device is charged and the screen switched on when you start the car ignition. 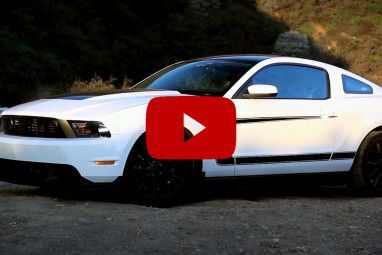 A free tool, Autosleeper Auto power ON-OFF will switch your smartphone or tablet to standby when you turn off the engine, and switch it back on when you start the car. You’ll never need to take your Android device out of standby five minutes into your journey because you forgot before you set off! This is particularly ideal for anyone who has permanently installed an Android carputer in their car, although if you use your smartphone you may prefer to take it with you when you leave the car. Stay Safe Driving: Stay Awake! So far we’ve looked at apps that stay away from physical interaction with your phone, but Stay Awake is a little different. This app demands that you touch your display for safety purposes — indeed, it could potentially save your life. The idea of the app is simple: when activated, it will request that you press the display to prove you are awake, a request that is accompanied by a very loud alert. Designed to stop drivers falling asleep on the road (and as a safety note from MakeUseOf, please take regular breaks when driving), Stay Awake is sufficiently annoying as to return your heavy eyes to the road or convince you to pull-in and take a long break. With these apps installed you can hopefully become a safer user of your Android device while driving. But they’re not a complete solution. From time to time, you might be forced to interact with your phone more than is safe and legal. Should such situations arise regularly, it might be a good idea to setup your dashboard mounted smartphone in such a way that a passenger is able to access it. As long as they are familiar with the OS and the app that they should be using, this is ultimately the safest option. What do you think? Have you found other apps that aid safe use of your Android device while driving? Share them with links to Google Play below. Bzzy Lite is a nice little app you can set to respond to text messages with stock or custom messages. Turn it on before driving and people texting you can receive a message that says, "I'm driving, will respond later" or "I'm at the movies, ttyl". There is no such thing as safe apps you can use while driving your car. You either drive your car or you don't. So drive your car, when you are driving your car. If you wanna use your phone, stop your car and use your phone. It really is that simple. Robin is another voice control alternative to Google Now.